FPR conducted this study in collaboration with the José A. (Tony) Santana International School of Hospitality and Culinary Artsof the “Universidad del Este” (UNE). UNE’s students conducted a series of interviews based on the Design Thinking and Human-Centric Approachresearch model to understand the local tourism ecosystem, analyzed the common challenges perceived by some tourism service providers, and identified opportunities to attend to those challenges. 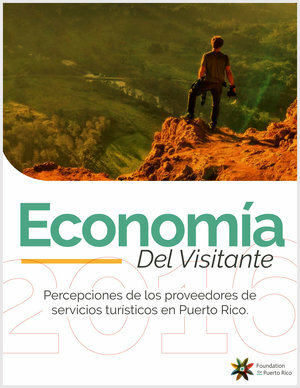 This study presents patterns about our local tourism ecosystem of service providers that help us recognize the challenges and the great opportunities that co-exist to develop a shared strategic vision that the Visitor Economy provides for all.Five unusual patterns were identified as areas of opportunity within the ecosystem: branding; infrastructure and accessibility; business sophistication; government support and; collaborations and alliances.